Many Liberal Jews for quite some time have been rethinking earlier attitudes and approaches to the Mitzvot. In 1885, Reform rabbis in America declared as binding only the moral laws, but rejected “all such [mitzvot] as are not adapted to the views and habits of modern civilization.” Since that time, Reform Judaism has undergone many changes. Today, it is not strange to see Reform Jews rediscovering mitzvot which had been long discarded. What follows is a roundtable discussion of five rabbinical students at the ‘ Hebrew Union College – Jewish Institute of Religion in New York City re-evaluating the role of mitzvot in their own lives, and in the lives of liberal Jews. The students are: Leon Morris, Rachel Sabath, Andrea London, Andy Bachman, and Susan Friedman. The session is moderated by Leon Morris. Leon: Let’s begin by exploring why we are re—evaluated the role of the mitzvah for liberal Jews? Andrea: I think the way the word is generally translated in Reform synagogues is not “commandment” but rather as “a good deed”. And so therefore, our congregants don’t understand mitzvah as something that ‘ 1.1.“ v -ch J is commanded by God. And if you translate mitzvot as commandment, they don’t know what that means. And if you start to call it a commandment, then we need to explain what it means to be commanded. 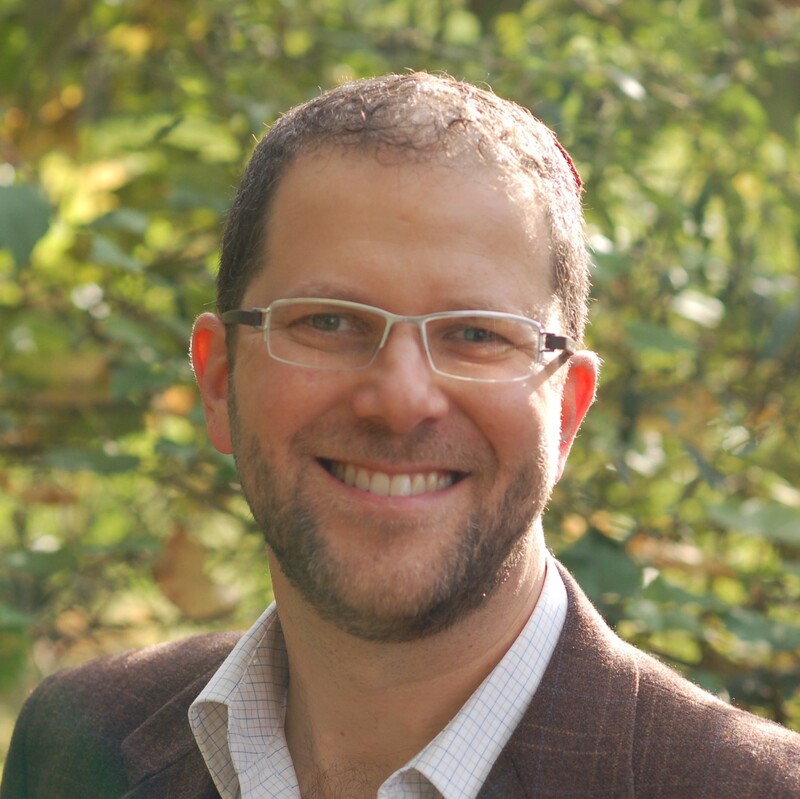 Leon: Do all the mitzvot have an intrinsic value? Susan: I’m not really certain. That’s where na’aseh v’nishma [the words spoken at Sinai — “we will do and then we will comprehend] comes in. Because there are some things that I just cannot resolve with certainty. I’m always going to be a doubting person, but n’aseh v’nishma motivated me to proceed and not to be paralyzed. Leon: Okay and how do you proceed? Susan: Generally I proceed operating on the assumption that a particular mitzvah has validity. I’m going to behave as if it had validity, and then make my decisions from there. Clearly I don’t observe the full range of mitzvot, I make choices based on the pragmatics of my life, to see what actually works for me, what I can actually sustain, because to make a commitment to do something that I’m not going to sustain is very problematic for me on a personal level. Rachel: Well, I feel that the mitzvot have intrinsic value, but some have greater value and feel particularly binding at certain periods of time in my life. Leon: So God commands those but doesn’t command the others? Rachel: No they are all commanded, but some are absolutely binding at a certain age and some are not. Susan: The problem for me lies in the process of experimentation with the mitzvot. If I’m not sure I want to take this on as an experiment in helping me to decide, at what point does it cease to be experimentation and become something to which I have committed myself? How long can you be tentative with something? Andrea: There is a difference for me of mitzvot that are commanded by God and those that the rabbis understood to be as such, and I think that it is not always easy to distinguish between those two. But sometimes we can distinguish these. To me, the rabbis were very wise people and their opinions are very important to understand but they are human. So I don’t regard the Oral Torah in the same degree as the written Torah. And I think that is something else that distinguishes me as a Reform Jew. Andy: We have completely mystified the idea of God, and I think that the mistake, if you want to talk about a mistake that current Reform leadership continues to make is that they’re not willing to go so far as to attempt to re-define God for people. And this may sound heretical but I think that right now the God that most current congregants worship is their rationality, and this notion that what God commands us to do, if God commands us to do anything, is to be good people. It’s a difficulty that we face because people have a whole set of expectations that they set up for the way God should behave, and God then cannot fulfill those expectations. It even seems like the Psalmist was struggling with the fact that God really does not operate in the world the way we want, but there is still the sense of a Presence. What is that? That to me is the great issue. Rachel: So how would redefining God affect how we see the mitzvah? Andy: I don’t believe that we are commanded as much as we are commanded from an outside source as much as we feel a sense of command from within. I think that our inherent humanness calls us to certain [visceral] reactions about life. Leon: So it seems like God’s not really part of that picture. Andy: No, I would call that God. I would call that impulse God. But I cannot accept this notion that God actually is a being that actually commands us to do specific things. But I’m not rejecting faith. Andrea: I think that that is a real challenge we have as leaders, explaining and defining what God is within the tradition, and allowing people to come to some understanding for themselves of what God is. I feel like the biggest issue that I see is that most Reform Jews that I know do not really believe in God because they see God as an anthropomorphic being, standing up on high and saying “do this and do that,” and that is not a God that most modern people can related to. When we are successful helping translate that and breaking that stereotype and seeing a different way, then I think we can talk about what God wills, or being commanded in the world. Until we can get an understanding of really what God is and having that speak to people, it’s very difficult to even talk about mitzvot. Leon: I do believe in a transcendent God who certainly has the power to command us, but for me how we approach the mitzvot is less related to my struggle to understand God. I fear that if you push the way Reform operates in terms of the mitzvot to the limits, then there really is a problem. In other words, if any of the mitzvot are optional, then why aren’t all of them aren’t optional? And yet, I’m also very unwilling to let go of autonomy, and I do think that the ultimate authority lies with the individual. I am suggesting that perhaps we should say that all of the mitzvot have some kind of binding inherent value, but individually, we need to work out the details conerning how we understand them and approach them at different times in our lives. Andy: The thing that you are saying is that, on the one hand, you feel commanded by a transcendent God. On the other hand, you are the ultimate authority over whether or not you follow that mitzvah. Leon: Because that transcending God grants me freedom. Andy: Because that transcending God grants you freedom but you, as a free being, experience God, and experience God as commanding you. And your own experience allows you to decide, or makes you the arbiter over whether or not you chose various mitzvot. I think really that “s the way we all experience it. I guess that “s why I’m saying that I don’t believe that there “s a transcendent God that commands all of us, as much as that there is God, and we all experience God individually. Leon: I’m also arguing for an acceptance of mitzvot not solely based on our experience of God. What are the sociological ingredients that we need to pass Judaism on to our grandchildren, our children and our grandchildren? I think it might be the observance of mitzvot. Susan: I was talking to someone the other day and they drew an analogy through music which helped to illustrate the role of observance of mitzvot through participation in the community. One needs to learn to play an instrument well in order to make music, but the music one makes individually is at one level, and the music one makes as part of an orchestra is yet another level. It seems to apply to this whole issue of to what extent one is commanded and how the mitzvot system operates. The mitzvot for the whole community feel much more commanded than the individual. And in the individual there are the struggles and the decisions as to what shall be binding, what shall not be binding. And you can sit and debate. In the community, the mitzvah system then becomes functional, in order to get that community to work. Leon: Where is your observance now, and where you see it going? Andy: Well I could say, I feel like my observance right now is fairly minimal: marginal Shabbat observance, daily prayer and daily study. I’ve made a commitment in the last six months to slowly stop all my other interests in other facets of life. I don’t know how else to do it! You know I’ve read volumes of comedy and jazz and all these other things in search of meaning, and what I’ve decided to do is to set a focus, really just to try and focus on Jewish culture, on Jewish texts. This is my yoke if you will, to say “Okay this will be the lense through which I’m going to view life for the next several years.” I have a hunch that what’s going to happen is that I may become a more observant Jew as a result of it because things unravel and once you commit to something, you have a different relationship to it than sort of toying around with it. Susan: I know for me it’s been a matter of a journey from Halakhic observance to total lack of observance and back again. I grew up in an orthodox household and maintained orthodoxy through my college years and then set out on this other journey. And now it feels like a process of trying to re-invent meaning for each of the halakot before I take them on. Andrea: I think the problem that I had is that I grew up in a household that was orthodox hating in a very strong way. Both my mother and father had very negative experiences with orthodox Judaism and my mother used to describe orthodoxy as being yelled at for putting the spoon in the wrong pot. That was her whole connection with religion of that sort. For her, it was just painful. So of course that was what was passed on to me was that Orthodox Jews are hypcritical. They do all the mitzvot, but they don’t behave nicely to other people. I think that I really grew up believing that there was a hypocrisy in religion and so you’re asking how to I get to this point of actually becoming a religious person after growing up with this very negative orientation to it. I think as one of my teachers, Dr.Chernick says, that although there are no communities who are ideally living what the religious life should be, it doesn’t mean that the system is bad. It just means that the actual execution of how that life should be is not up to the ideal yet, but there is still value in it. And I think that is how I approach it now is that now. I can sometimes see the system separate from the people who are practicing it. I also see that there really are people who do practice and who aren’t hypocritical that there doesn’t have to be a division between doing the mitzvot and being a good person as I really thought when I grew up that there really was. So I think that what it means now is somehow to understand how mitzvot can enhance my life and enhance the life of the community, and enhance my relationship with God, and motivate me to practice Jewish values. Being connected to our ancestors and what they did, and having our children do what we do is something very powerful about Judaism, and I don’t think that we can easily just write that off. One of the reasons that people are Jewish is for that reason of being connected to a community. It is a desire for immortality, and it’s a desire to be part of something greater than yourself. I feel like what I do in terms of mitzvot is what I think are meaningful and that doesn’t just mean cognitively, it means emotionally, spiritually, psychologically and I think that’s how the Reform movement can also help others to see it in terms of meaning and understanding. It’s not just cognitive. You have to stop dealing exclussively with the head so much. The rest of our being is very important. And what I’ve tried to do is let the mitzvot inform all of my senses, not just my head, and so I think that’s how I make decisions. It is a very imperfect way to do it, but I feel it is the only way I can do it and be honest with myself and who I am. Rachel: Liberal Jews have the luxury, because of our flexibility and our personal autonomy, of doing a lot of things at the same time. You can experiment, and this is where I would disagree with Susan. I think that everything I did in my life had to be consistent, I probably wouldn’t get out of bed in the morning. This is not who I am.and that’s not what my relationship with God is about. I also don’t think God is very consistent. So, I think there’s a whole dynamic to observing the mitzvot. My spiritual development is evolving and changing and I do think that God wants different things of us at different times in our lives. I think that God is always pushing us one step further. That’s the role of God in my mind. And I think beyond the familial, historical, psychological, spiritual level for me I think it’s something greater which I would call truth. I really see the mitzvot in Judaism as leading me towards the point of truth and a point of knowing. I think every mitzvot has a certain truth in it, I just haven’t found it out yet, which I think is a potentially very orthodox perspective. I trust myself and trust my teachers, in terms of where I am being led and what things I’m being interested in. I would call myself being a part of of hovevei mitzvot[lover of mitzvot]. What has become clear is that not being in a community apparently means that our relationship with God and the mitzvot is primarily as individuals. I would like to garner the strength of community and the whole idea of peer pressure and the whole idea of really struggling with the people that are around you. I think if that was more present in Reform Judaism, then our relationships, our individual relationships with God would be furthered. Until that happens, I don’t know anything that’s going to push that relationship. So I am observing kashrut, Shabbat, ethical mitzvot, daily prayer, daily study, and keeping a constant vigil out for God and out for truth moves me the most. Leon: For me I feel like I play by the rules of Reform Judaism. I try a mitzvah, and if it has meaning for me, I take it on. So over the last ten years, I have taken on more and more mitzvot. Almost every mitzvah that I tried out did have meaning for me. I think I may be projecting my experience on to the rest of the Jewish people, so that has prompted me to be more open to the idea that possibly all of the mitzvot in some kind of reconstructed form could have meaning for me and could have meaning for all of us. And that makes me wonder and begin to reassess what is the kind of relationship that I want to urge other people to have with the mitzvot. I see myself becoming more and more observant, albeit not taking on all the mitzvot at once, but feeling now some sense of pull to the mitzvot as a whole, and sort of working out at what pace I’ll take this particular mitzvah on or even wrestle with this particular mitzvah, but I sort of know that the outcome for me is becoming more and more observant. It’s not Orthodox because my approach isn’t Orthodox, but it is more and more observant and that suggests, I think, although I’m uncomfortable saying it, that I think to do more mitzvot is better than to do less mitzvot, which isn’t what Reform Judaism generally articulates. Rachel: I think our varied relationship with God is that sorting out. For me, it’s the very daily act of that conversation and that dynamic that is my upholding of the covenant with God. What God demands of us is to search out every argument and search out every mitzvah and search out every experience for ourselves. That intensive involvement is what God demands of us, to really seek things out. I don’t feel like I’m ever going to hit this point of my life where I’m going to see the light and my relationship with God is going to become clear and easy. I think that it is going to be a constantly evolving thing. I think that’s the difficulty of being a liberal Jew.